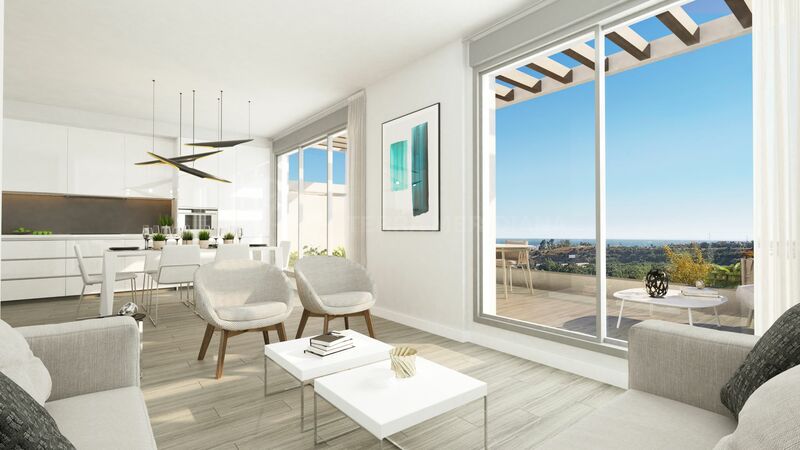 Located in the new low-density gated residential enclave of Oceana Views set on an elevated position, this penthouse takes advantage of a south-westerly orientation and allows an abundance of light into the home throughout the day. 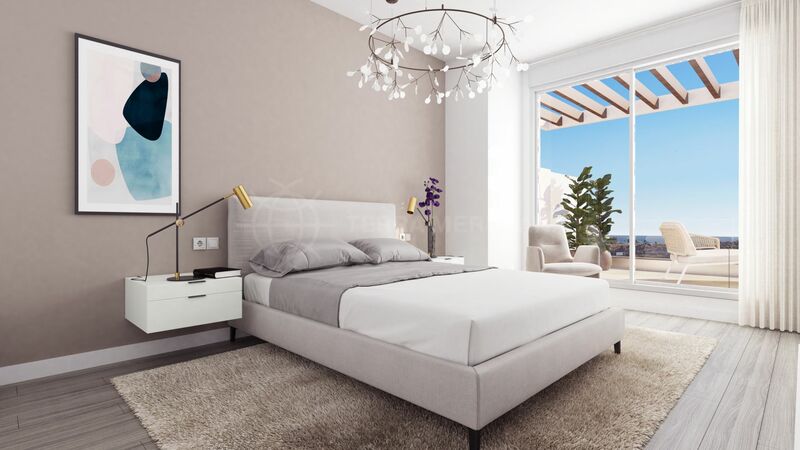 Built with exacting attention to detail coupled with a desire to maximise functionality the apartment includes a neutral décor. 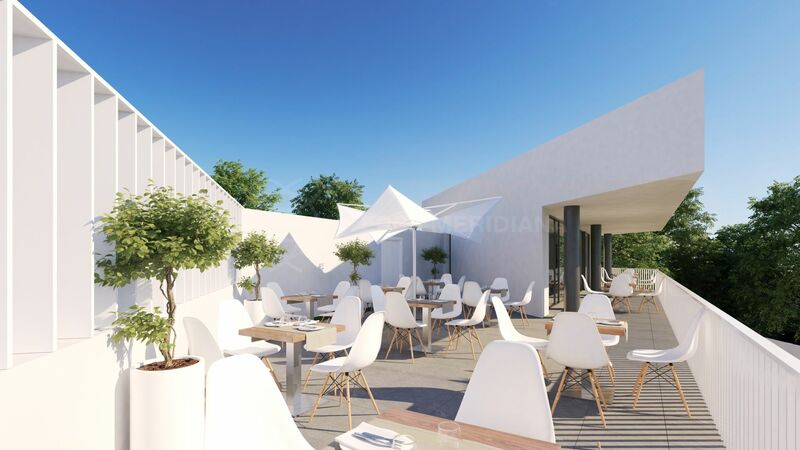 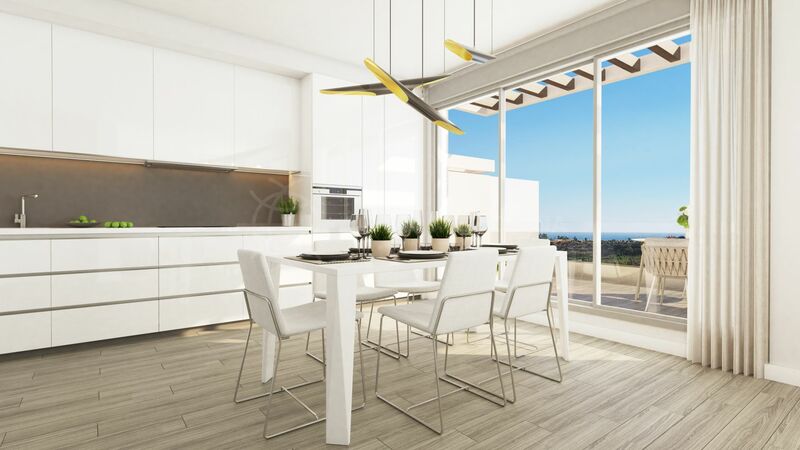 Designed to the highest of standards the home encompasses an open floor plan with a contemporary fully fitted kitchen featuring high gloss white units, an ample living/dining room connecting to the exterior, 2 bedrooms and bathrooms, and a rooftop solarium. 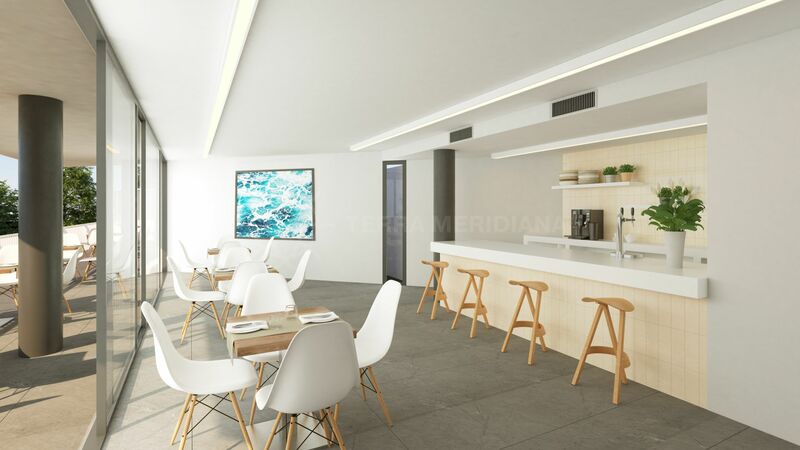 Essential details include porcelain floors, double glazing, underground parking, and pre-heating of domestic water via solar panels. 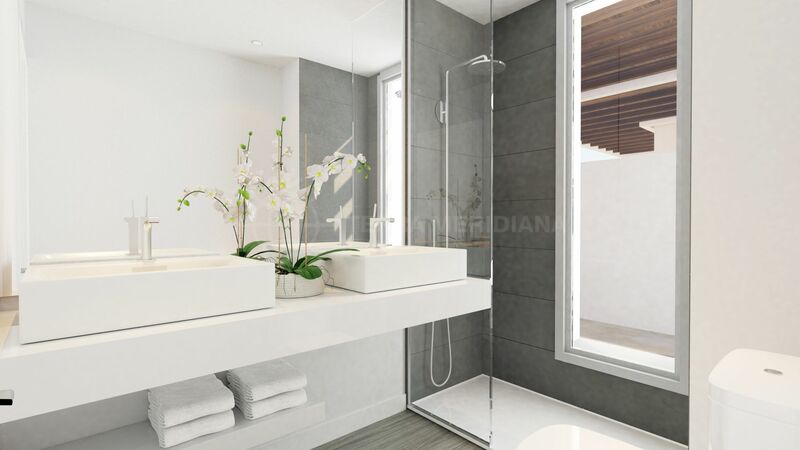 Oceana Views is a beautiful guard-gated urbanisation with unique 5-star amenities and owners have access to the exclusive Santa Vista Club House which enjoys a selection of leisure facilities which include an indoor pool, sauna, social areas and an on-site cafeteria. 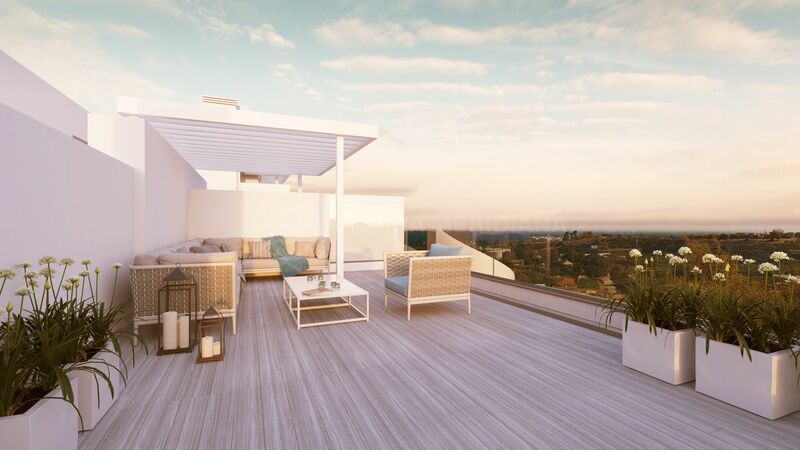 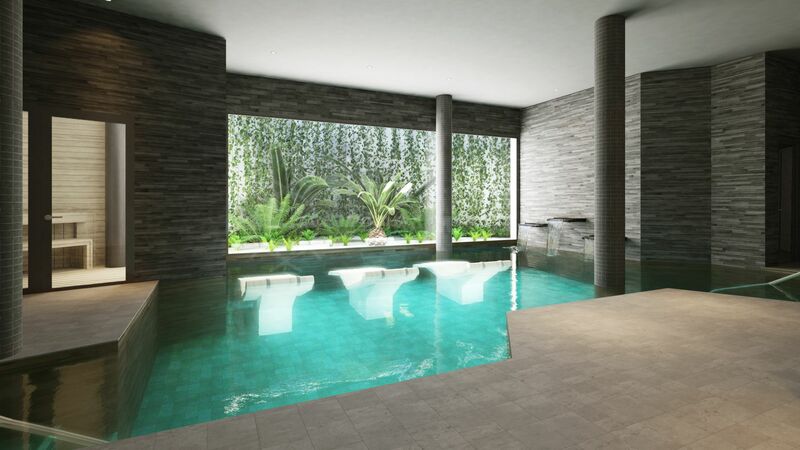 In an unparalleled situation, the development is close to countless outdoor attractions. 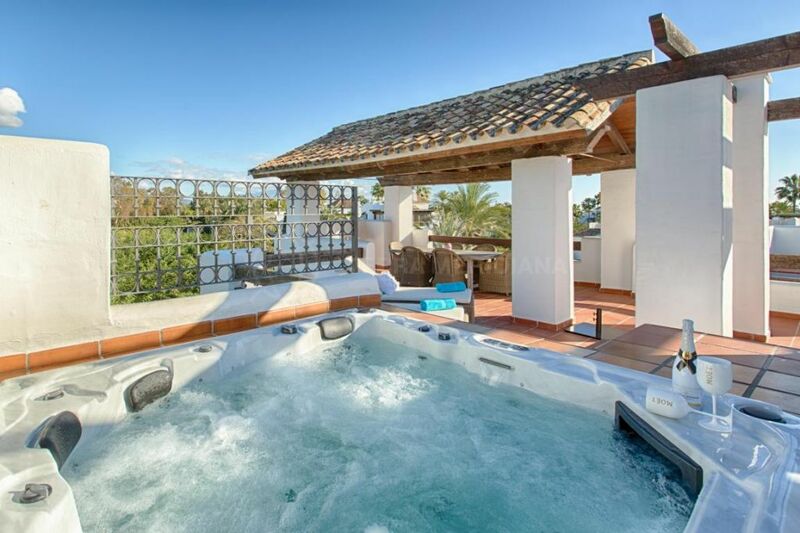 Within a short walk from the lively village of Cancelada and just a few minutes drive from sandy beaches and the renowned golf courses of La Quinta, Los Flamingos and El Higueral. 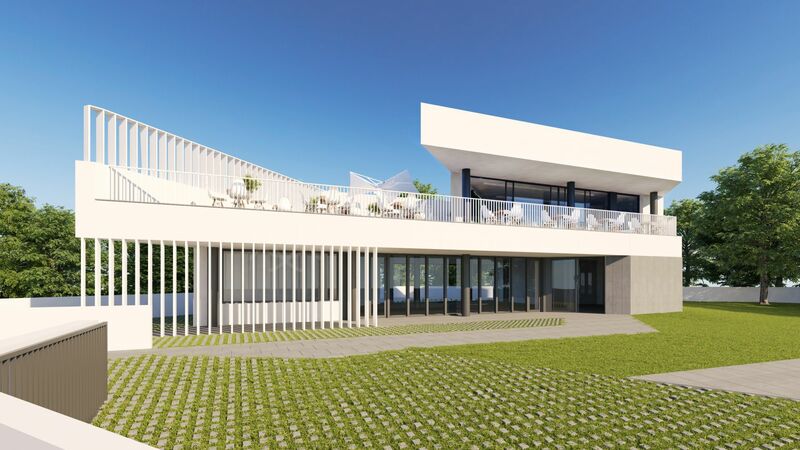 Building license in place and construction due to finish the 4th Quarter 2020. 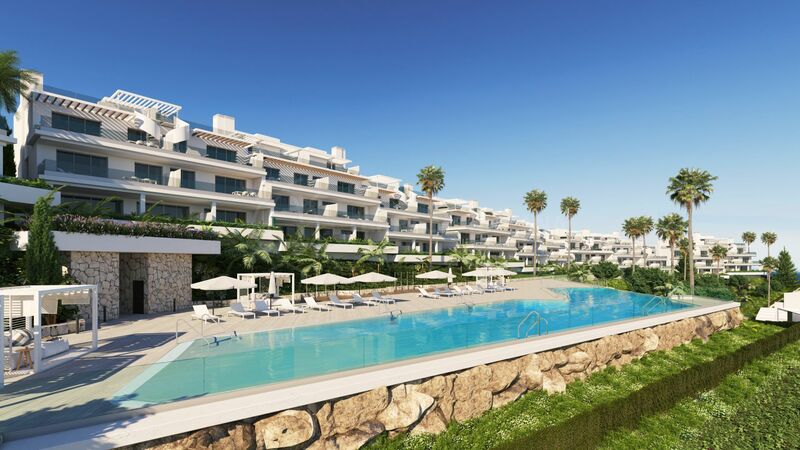 "Oceana Views represents the ideal combination of modern sophistication and comfort." 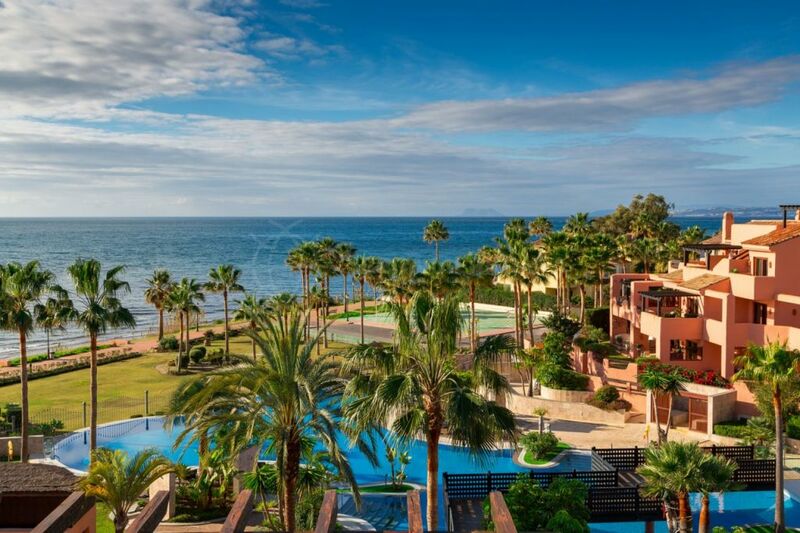 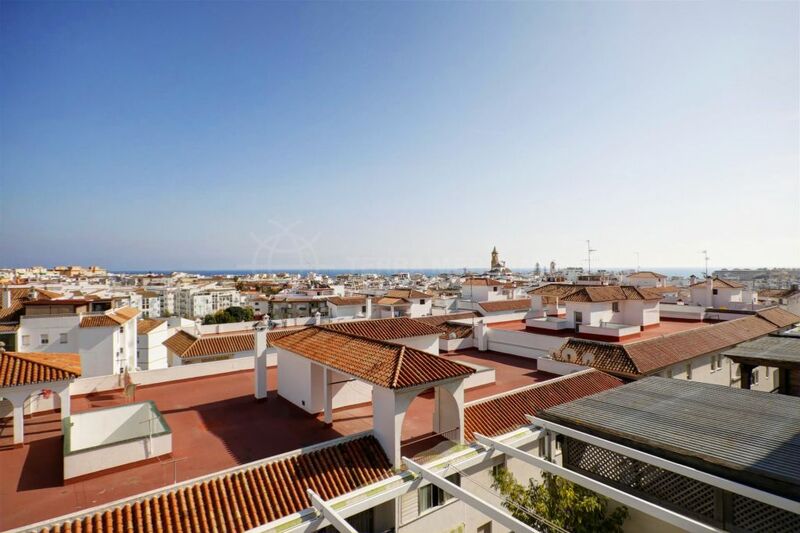 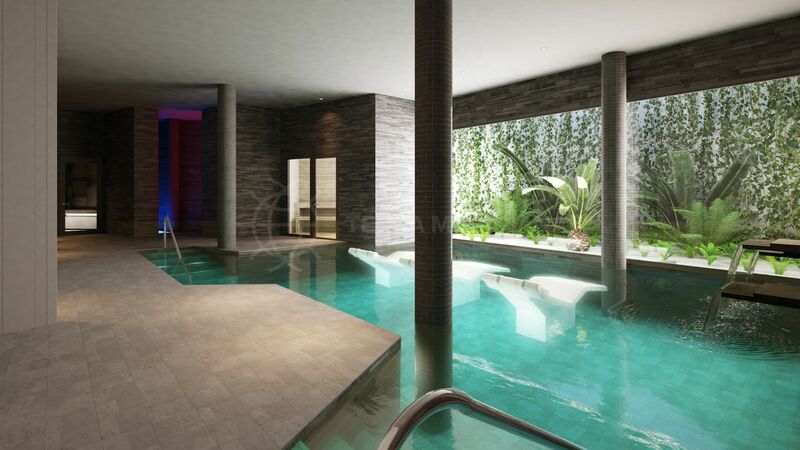 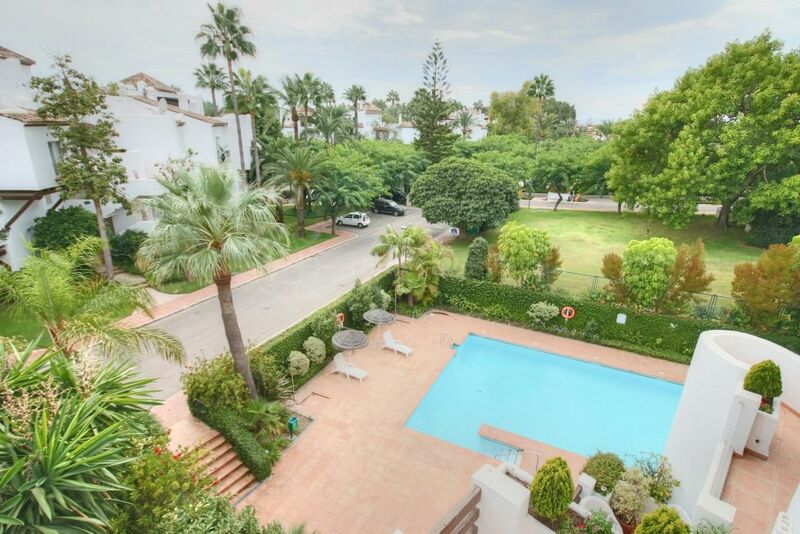 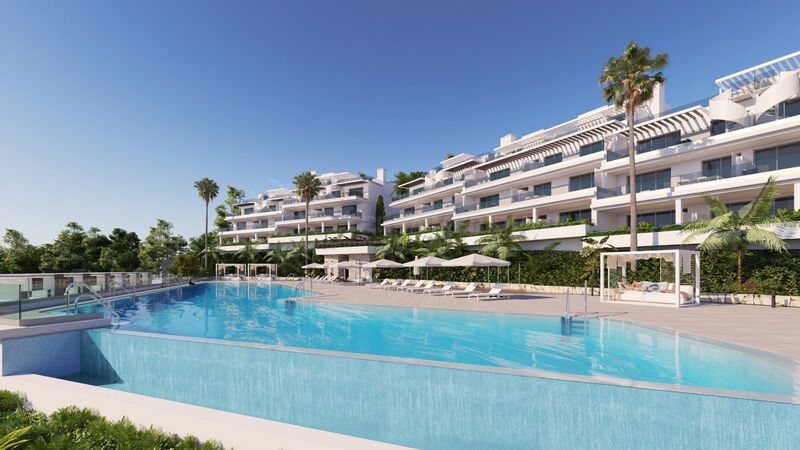 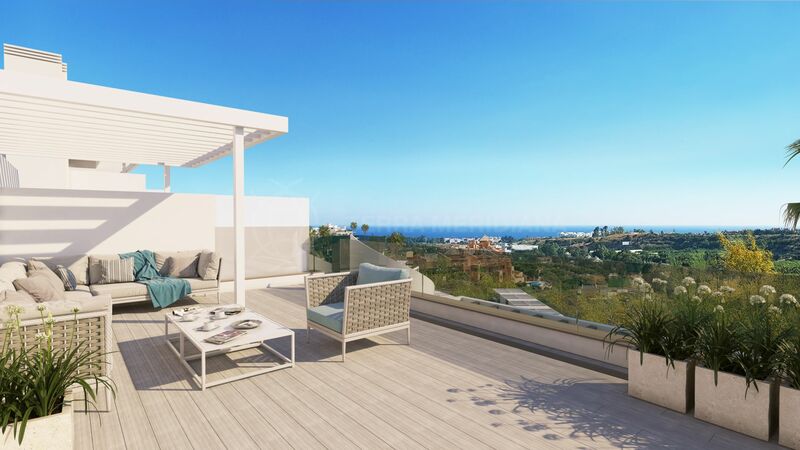 Please, send me more information about ref TMNA1045, Penthouse in Cancelada, Estepona or similar properties.